MURFREESBORO — Tennessee now has an organization devoted to collectively represent the state’s animal agriculture industry with a factual proactive voice. The Farm Animal Care Coalition of Tennessee (FACCT) was established by animal agriculture supporters across the state to be a reliable resource for the public and farmers regarding humane care, well-being issues and best management practices for farm animals. The coalition aims to reach out to producers, consumers, law makers, the media, and the public with facts about farm animal welfare. Lou Pitts Nave, a native of Cannon County and a sixth generation livestock producer, has been named Executive Director of FACCT. Nave will be working with livestock producers across the state developing networks to support the work of the coalition. Nave holds a bachelor of science degree in animal science from Middle Tennessee State University. 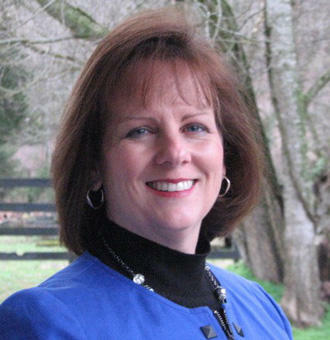 Her work experiences include the Tennessee Department of Agriculture Marketing Division, Virginia Department of Agriculture Marketing Division, Tennessee Walking Horse Breeders’ and Exhibitors’ Association and most recently as an elementary education teacher. Along with her husband Glenn and daughters Hannah and Emily, Nave raises commercial beef cattle, Tennessee Walking Horses and sheep. She is involved with the Tennessee Farm Bureau Federation serving on the state Women’s Leadership Committee, Cannon County Farm Bureau board of directors, Tennessee Cattlemen’s Association, and Cannon County Cattlemen’s Association. On taking the new position Nave said, “I look forward to working with animal agriculture supporters across Tennessee providing a proactive voice for animal agriculture. Working together we can slow the tide of animal rights activism and replace it with positive, factual information about Tennessee animal agriculture. Congratulations to Lou on this position. Livestock producers and farmers need a voice of reason and common sense to speak for their interests. I think Lou will do a good job.